Published on November 19, 2013 in Daily Dirt, Equipment & Products and National. Closed Tags: attachments, Backhoe Loaders, Cat, Caterpillar, construction, construction industry, contractors, Hammers, mini excavators, Skid Steer Loaders, work tools. 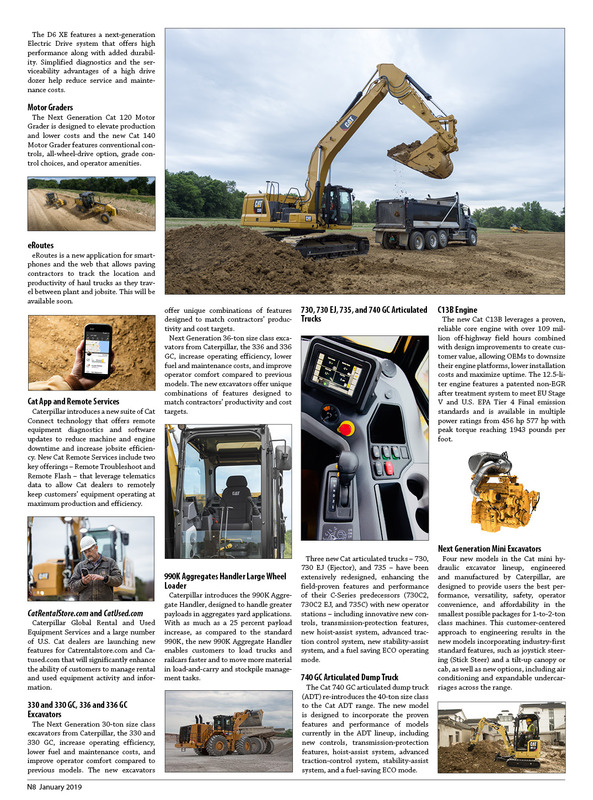 Ten new Cat® E-Series hammers – designed for use with mini excavators, skid-steer loaders and backhoe loaders – are available in both “silenced” and side-plate versions. Four sizes – H35, H45, H55 and H65 – are offered in two mounting configurations for installation on both Caterpillar and competitive carriers. Silenced hammers, identified with “s” in the model designation, use a fully enclosed housing to suppress noise, a valuable feature in sensitive work environments and in small-machine applications in which the hammer is in close proximity to the operator. Non-silenced, side plate models are available for all four sizes. Several features assure convenient installation, comfortable operation and long hammer life. These hammers are designed and engineered to match auxiliary flows and pressures of the Cat machine. Plus, hydraulic ports are positioned for convenient installation. As soon as the hammer is “plugged” in, it is ready to perform. Easy maintenance These new E-Series hammers include 47 percent fewer parts than did their D-Series predecessors. This allows for quicker and easier servicing. When it comes to daily maintenance, a single grease point is conveniently located and easily accessed. Tool changes are accomplished with common hand tools. 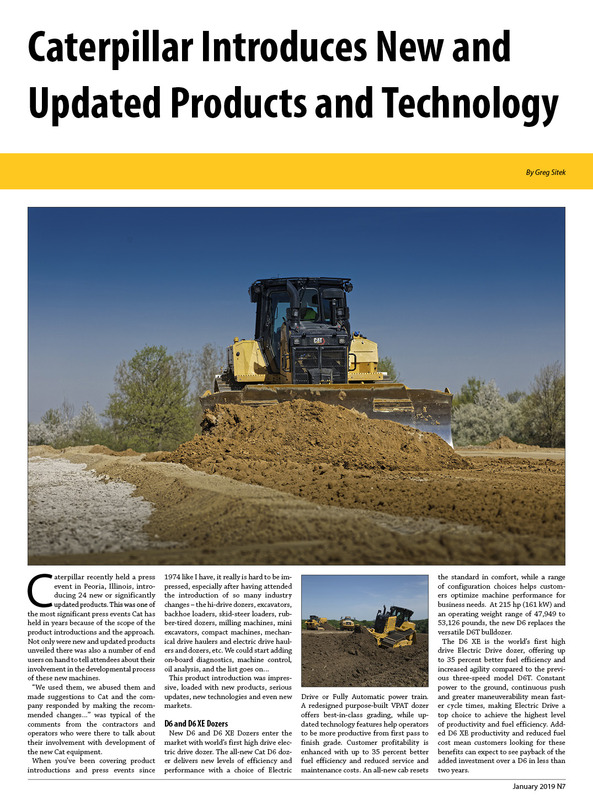 Published on July 1, 2012 in Equipment & Products, Featured Article and National. Closed Tags: application, asphalt, attachments, Backhoe Loaders, Case, Cat, Caterpillar, concrete, construction, construction industry, contractors, cycle times, economy, equipment, excavators, fuel, insurance, JCB, jobsite, John Deere, Kubota, LiuGong, maintenance, mini excavators, NewHolland, operators, rental, roads, Terex, Terramite, tractor loader backhoes, transport, trucks, Volvo, wear. 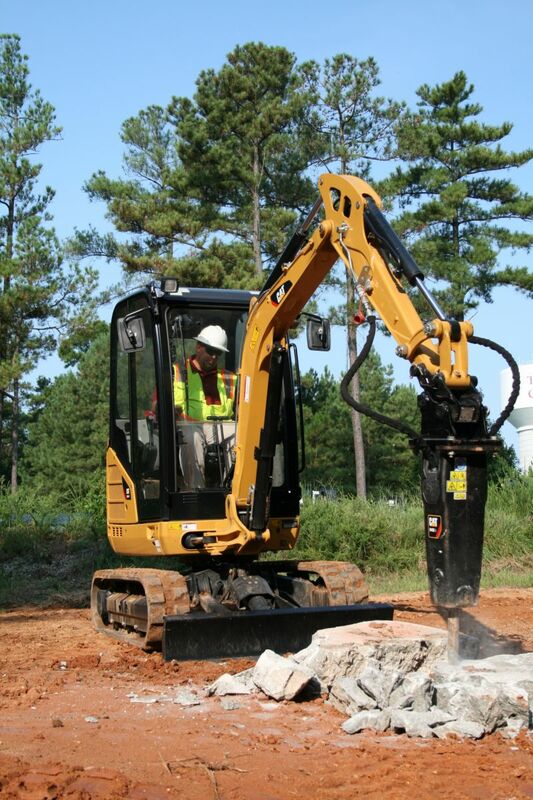 Load a truck, cut a trench, break pavement, drill a post hole, plant a tree, lay cable, dig a swimming pool, landscaping, pipe laying, rough grading are only a few of the things you can do with a backhoe loader or a compact excavator. It’s not about the machine; it’s about the tool doing the job. A trench is trench and will never know, understand or care about how it came into existence. A tree doesn’t care about how it got planted; paths aren’t the least bit concerned on what was used to grade and create them. You’re a contractor and you’re getting ready to bid a job. The first question is: what needs to be done: It’s a mass excavation project that involves moving 2.5 million cubic yards of material? You’re not going to do this wit a backhoe loader or compact excavator, that’s for certain. How about a landscaping job that includes a pond, irrigation system, some paths, a little re-contouring of the terrain, drainage tiles, shrubs, trees and lawn? The next question is: what do I have in my equipment fleet I can use to do this job? There are any numbers of machine combinations that you could use to get the project done. 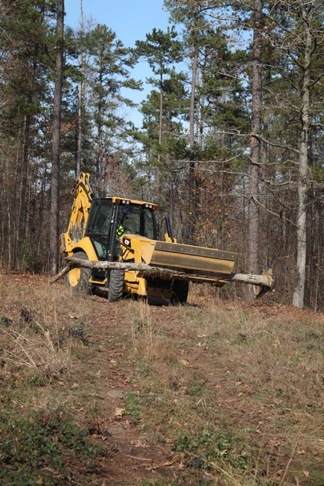 Or, there is one machine with a combination of attachments that could do the job, minus long distance hauling. If you had a compact excavator(s) and wheel loader(s) with the right attachments you could use them or if you had a backhoe loader, with the right attachments, you could use it. Deciding which combination will work best should be based on an analysis of a number of factors. If you’ve been in the business for a while, you probably do this already. Some people call it “seat-of-the-pants guesstimating.” I’ve learned over the years that sometimes the intuitive, gut feeling is just as good because subconsciously you really do go through a process of making the decision. Let’s take the time to do the mental gymnastics. I’m sue there are computer programs around that you can feed the information into that will guide you the best answer based on your circumstances. Time: How long will it take you to complete the project with the excavator/wheel loader combination? How long will it take to complete the project with the backhoe loader? Machine size will be a determining factor but so will the application. 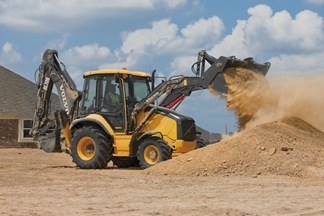 If you use the excavator and wheel loader will you use two operators or one moving back and forth between the two machines? If the project is such that it can be done with two operators running two machines this will cut down on the time spent. 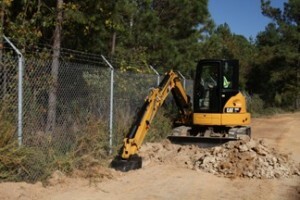 The backhoe loader can only perform one function. 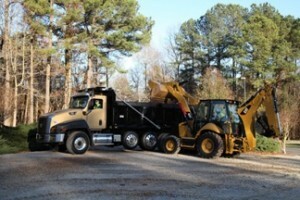 Transport: Getting the equipment to the jobsite is a consideration. Can a single trailer handle the excavator and wheel loader along with the attachments in a single trip? Running back and forth to the shop is both time and fuel consuming. There was a time, not that any of you would remember it, when fuel costs were not the number one operating cost for a piece of equipment. Fuel: If you’re keeping records you should know what your fuel consumption rates are on each machine. If you’re really concerned about fuel consumption, and you should be, you will know the difference an operator makes on a machine. At a recent press conference Volvo Construction Equipment was talking about a program a training program it has developed. Volvo Eco Operator program is a good example of training that gives operators the practical and theoretical knowledge they need to become safer, more efficient and environmentally conscious while operating equipment. The program teaches operators correct machine operation and maneuvering as well as how to plan their work in the smartest, most efficient way. By following these techniques, operators can help save money on fuel, increase overall production and reduce maintenance expenses. Eco Operator consists of classroom theoretical training and practical, hands-on experience. The content can be customized with additional modules such as environmental training, simulator based training and on site follow-up. 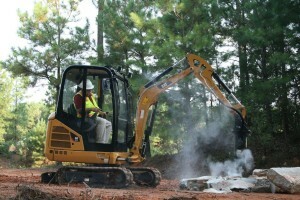 For the operation portion, a trainer sits with the operator in his own machine on an actual jobsite. The trainer gives guidance on how to change behavior in order to operate more fuel efficiently. This not only helps operators learn on a machine they’re already familiar with, but the training course does not disturb the normal operations of a jobsite – so workers stay productive. Major contractor Skanska was one of the companies to enroll its operators in a similar scheme. In one study where 37 operators were given training, it was found that fuel consumption reduced by 5 % – representing savings of over $320,000 and a reduction in emissions of 500 tonnes of carbon dioxide. Some operators reduced their consumption by 25%. Fuel consumption rates will be different on the different machines and in the hands of different operators. In today’s economy fuel consumption has to be given serious consideration. It does have an impact on the bottom line. Maintenance: Maintenance requirements will vary depending on the number, size and type of machines being used. Is it easier and more economical to take care of one machine? Or two? Your records are the best source for the answer. Typically the greater number of machines on the job the greater potential for problems. Another consideration is maintenance consumables – filters, lubricants, hoses, belts, etc., especially if you’re going to do routine maintenance at the jobsite. Operators: If you’re planning on operating both machines simultaneously then you will need two operators. Will the timesavings and production benefits outweigh the costs of an additional operator? Are there additional benefits to having more than one operator on the job? When you think about the operator(s) don’t forget all the “fringe” costs that are associated with having employees. Insurance: Insurance premiums need to be considered, not only on the equipment by for the employees as well. Wear: Which approach will result in the least amount of wear on the equipment and the attachments? Attachments: Another consideration is attachments. Ask yourself if you could improve productivity, fuel consumption, and total efficiency with different attachments. There are hundreds of them available for all these machines: backhoe loaders, compact excavators, compact wheel loaders. In fact today’s versions of these machines are designed specifically to accommodate attachments. 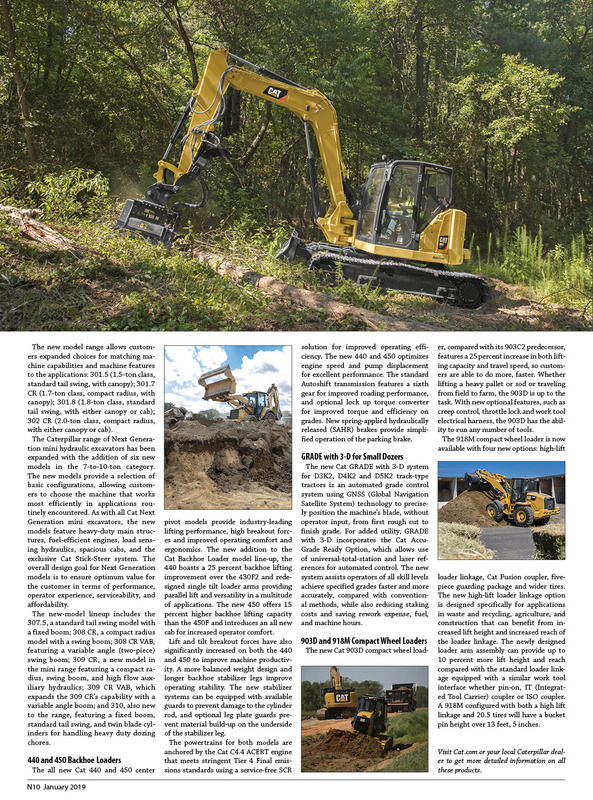 Several manufacturers make “tool carrier” models of their backhoe loaders featuring quick couples on either or both ends of the machine. Compact excavators and wheel loaders have always been know for their versatility through the use of attachments. Application: Know your material density and/or job requirements. If possible, bring a small sample to the dealership. It’s also important to know how you will be using the attachment. For example, do you need to work at specific heights or angles? 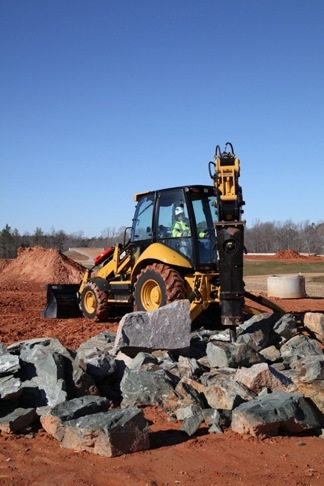 Cycle Time: Know the required speed to get the task done on time and the estimated amount of travel needed to get around the job site with the attachment. General Machine Specs: Know the equipment model numbers, tip load, lift/weight capacities and any other basic information for all machines the attachment will be working with. In addition, know the non-standard features on each machine (e.g., changes to hydraulics, tires, engine, etc.). Hydraulic Capabilities: If your attachment requires hydraulics, make sure you know your machine’s hydraulic flow (gpm) and pressure (psi) output capabilities. In addition, make sure you understand your hydraulic plumbing, the number of outlets and its function capabilities. Not all machines have a 3rd or 4th hydraulic function capability and yet a lot of attachments require these. Have you seen this brand of attachment succeed or fail in other customer applications? If so, what applications? What repair capability do you have on this attachment and do you stock all replacement parts? If you don’t carry the parts, how quickly can you get them? Does the manufacturer of this attachment specialize in this application or is this just something they produce or outsource to complete their product line? Is this attachment and/or application one where they have a proven reputation for quality? What would you estimate is the overall cost of ownership of this attachment? Rent: When you’re done running this information through your cranium computer, reconsider everything using larger, faster, more productive equipment. Then ask yourself if you would be economically ahead renting “bigger” or more equipment. Sometime we think that using what we have is the best way to go when it may not be the wisest economic choice. The bottom line has to be the approach that puts the highest percentage of profit in your pocket. This article appeared in the June 2012 issues of the Associated Construction Publications (ACP)national section.